Our fleet includes wide choices gulets which are brand new , recently launched , completely refitted that are based in one of the most popular cruising spots in Turkey, Greece and Croatia Wherever you're looking for a deal, we likely have a special GULET offer or a special group charter rate to suit your needs and this is the place to find them. 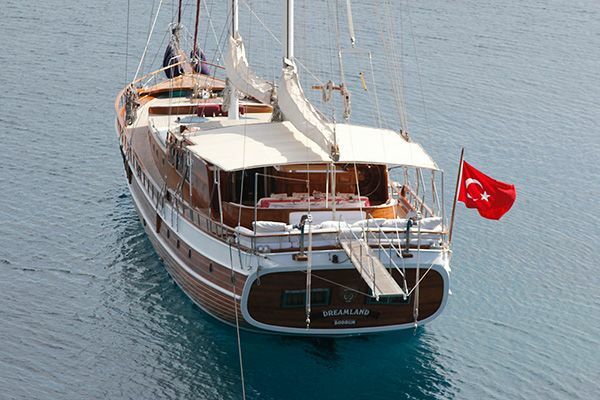 A gulet charter is the unique wooden yacht hire and cruise possible along the South west coast of Turkey where a long indented coastline holding many serene and sheltered bays and coves offers moorings and anchorages for smaller length boats of up to 50m, for durations of from 3 nights (4 day cruise) up to 7 nights (8 day cruise) or more weeks. 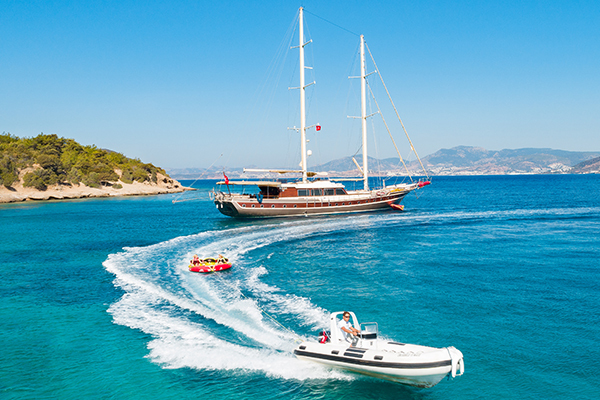 Private gulet charters entails the hire of a whole boat, to experience cruising our crystal clear Turkish waters. 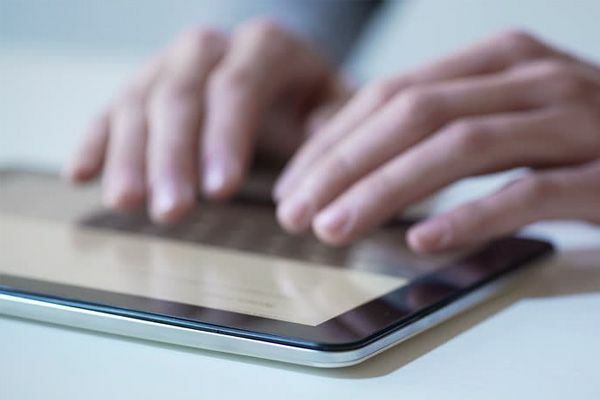 There are different categories of gulets which offer different economic options for the money concious groups. 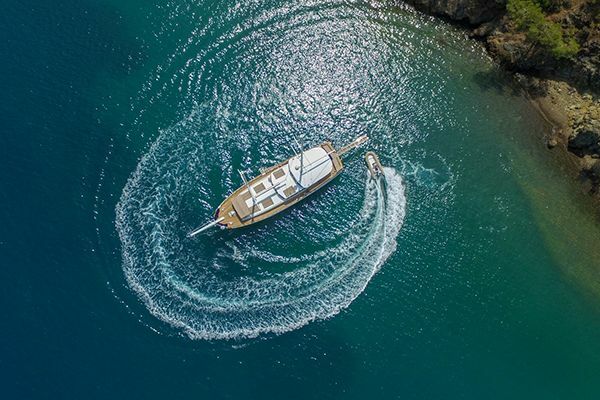 The length of gulets for holiday charters vary according to the design of the yacht, anything from 15m of either economic or intimate luxury for a couple or a family, to 50m of a stunning super luxury gulet. The number of and layout of cabins varies too: from 2 to 16, but most gulets have 5-8 usually double bed cabins, but with twin options, and these days each have a private bathroom. The number of crew on board is 2-7. 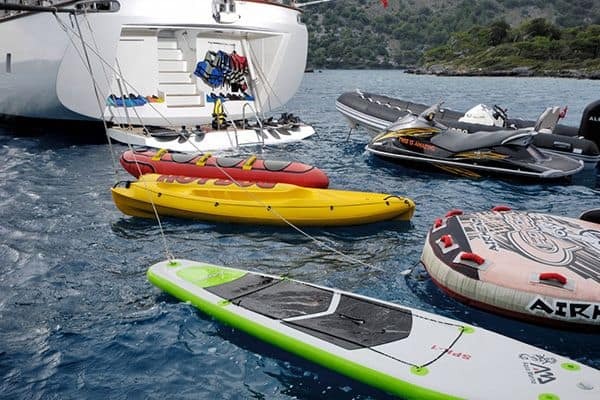 They not only manage the boat, cleaning and maintenance, and sailing but they are available throughout your holiday to provide you with all meals, run you to and from shore, and help you with any other activities you may want to do. 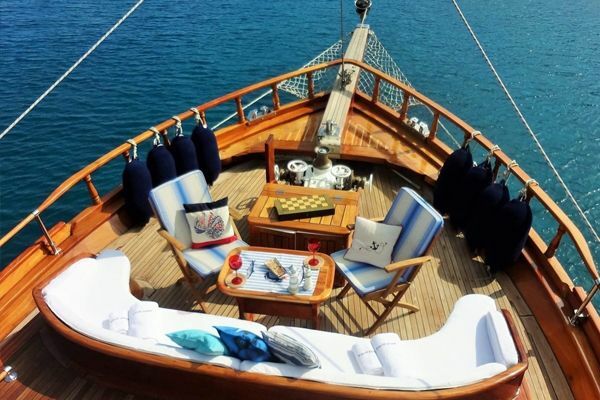 The decks of a gulet charter are wide, spacious and covered in cushions as well as shade from the sun. This will give you ample opportunity to relax and swim away the day as you soak up the natural beauty of the Turkish coast. 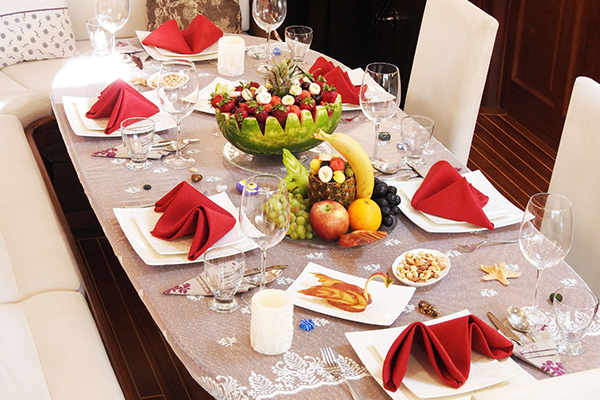 Guests may opt to spend their nights on deck under the stars, waking up in the morning surrounded by pristine nature. 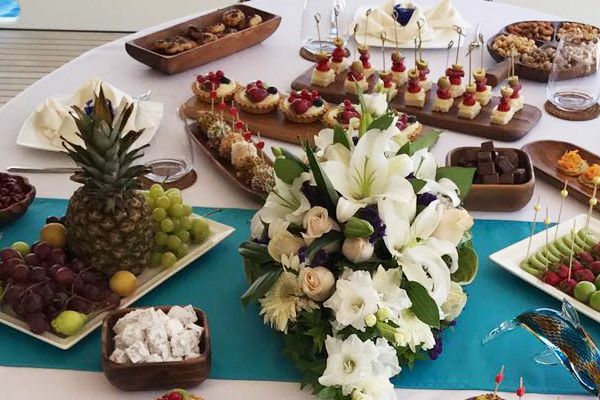 Full board (breakfasts , lunches , dinners) service is usually the Food Menu service we recommend you chose for on-board catering during your charter and the prices are included in the charter price offer. 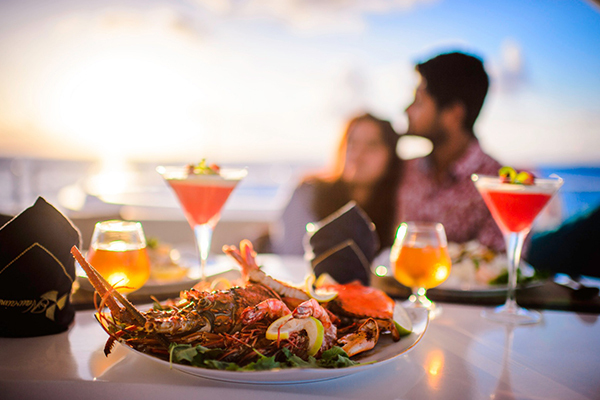 All alcoholic and non alcoholic drinks are at additonal cost and you can pre-order or buy your own drinks from harbour suppiers or supermarkets to deliver or stock up along the cruising route.